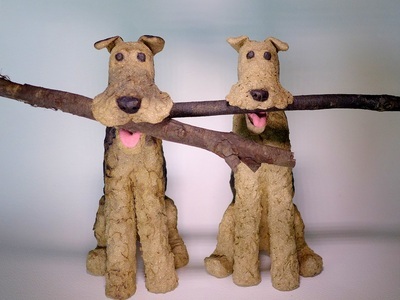 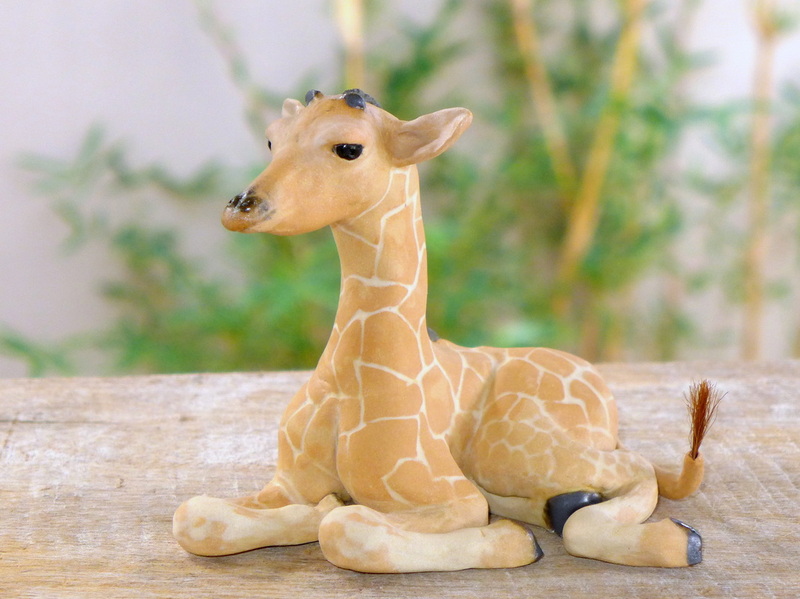 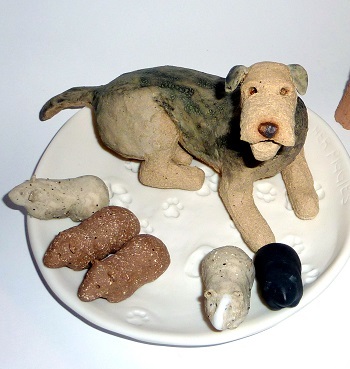 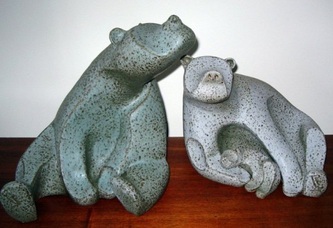 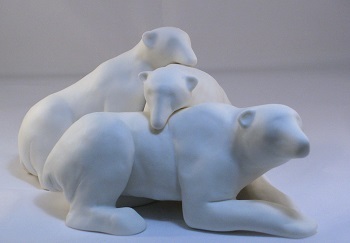 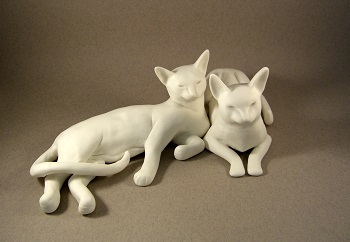 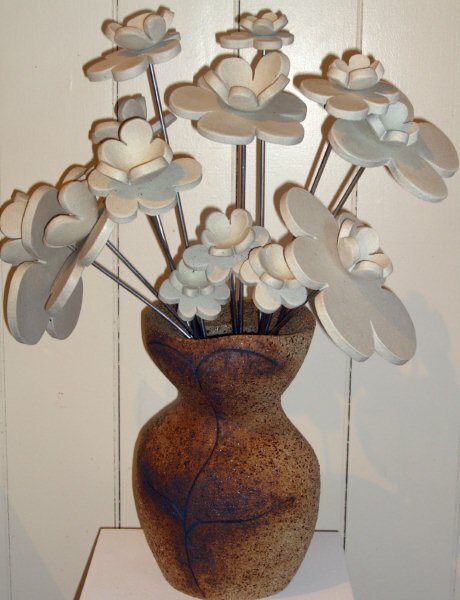 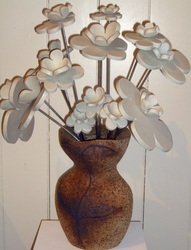 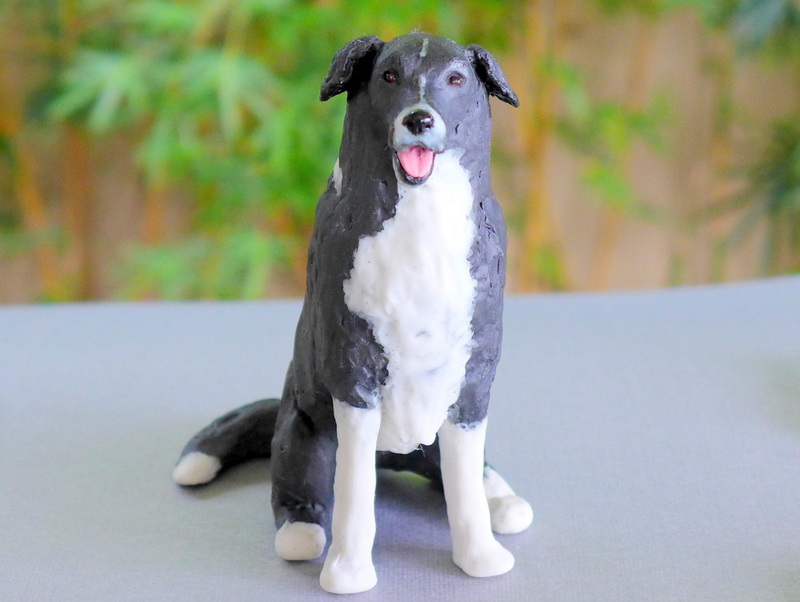 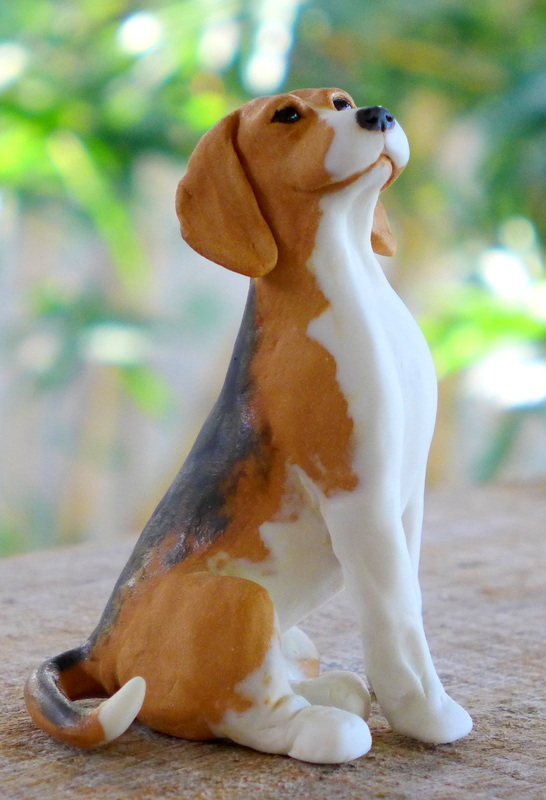 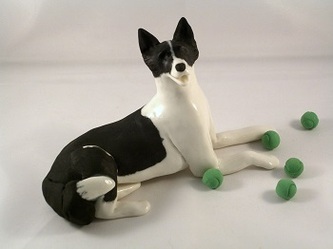 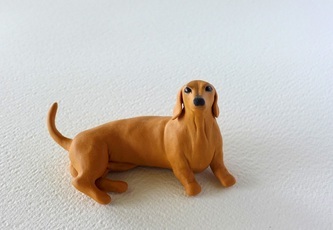 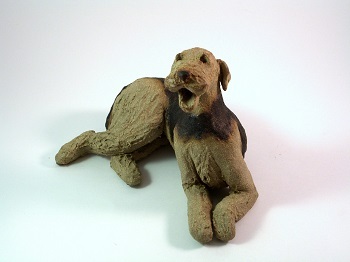 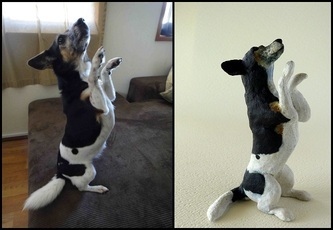 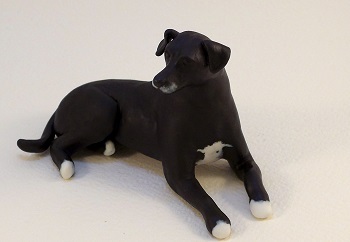 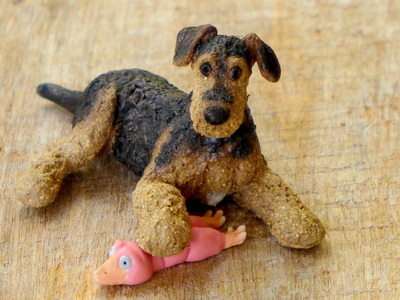 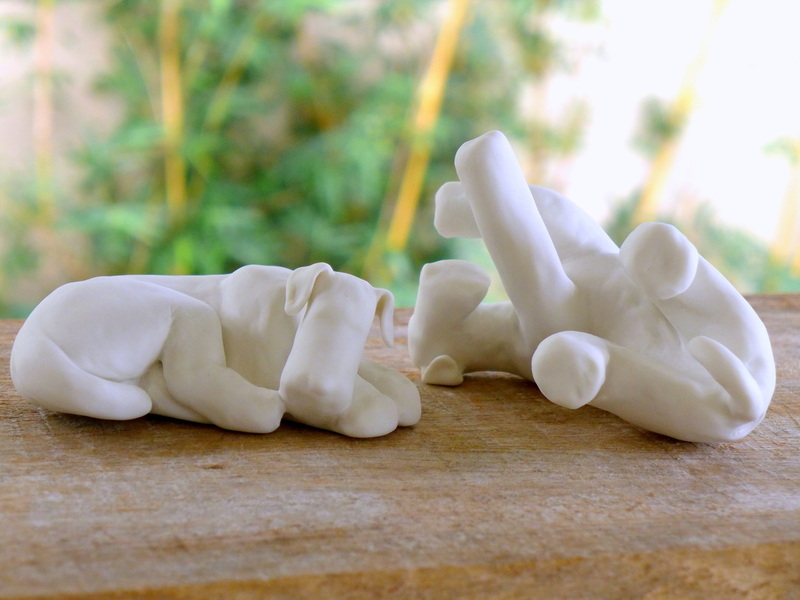 My work has evolved into custom sculptures of people's beloved pets. 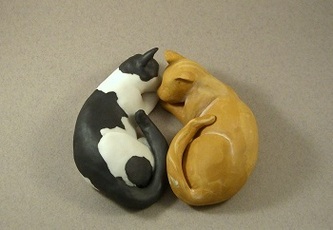 Cats, dogs, guinea pigs, rabbits are among the pets I have created so far. 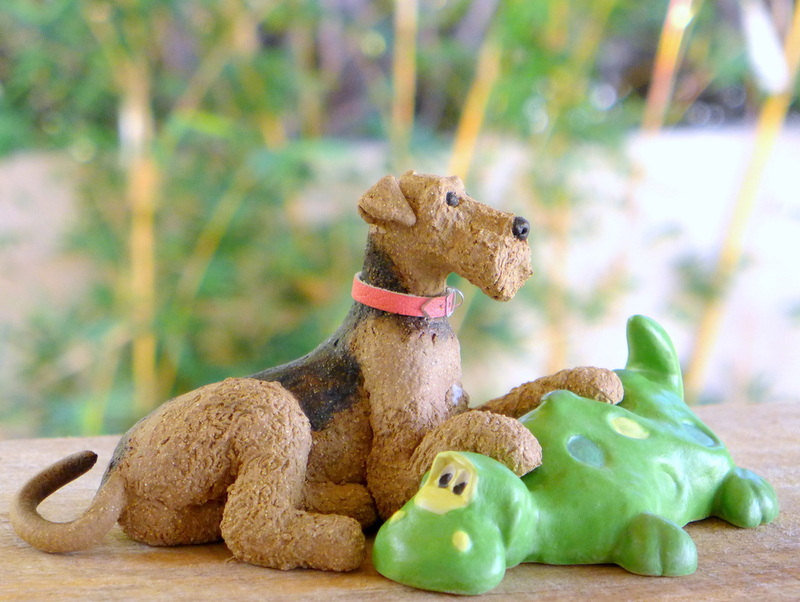 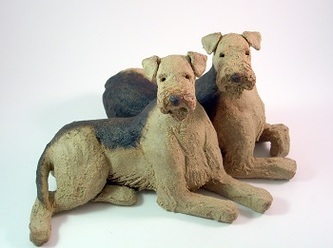 Dogs are my mainstay and my great love, as I live with and am owned by two Airedales.